In the latter part of 2012, several ride-sharing and ride-on-demand startups and services came under scrutiny in the state of California. In a nutshell, the California Public Utilities Commission argues that the companies in question – Lyft, Sidecar, and Tickengo – are allowing car owners to become professional drivers, and that these professional drivers must be regulated as such. If the CPUC investigation finds that these companies are in fact subject to further regulation, it could mean that drivers using these services would be required to obtain a commercial drivers license and hold insurance policies that provide up to $5 million in coverage. Needless to say, this regulation would be a large obstacle for user-acquisition. Of all the companies involved in the investigation, Tickengo is the most adherent to the ride-sharing model. Further, after Tickengo made a few slight changes to their model, the CPUC dropped them from the investigation. The goals and mission of Tickengo are fundamentally different than those of Lyft and Sidecar. Rather than creating a new fleet of commercial drivers, Tickengo is focused on filling empty seats. Staying in line with the goal of filling empty seats, there is no set-rate or set-payment amount for those passengers filling the seats. Rather, the compensation is decided wholly by the passengers. This goes back to the companies goals, rather than creating a new fleet of quasi-taxis, Tickengo allows drivers to make a small amount of money for sharing their vehicle on trips that they were going to make regardless. The process of ride-sharing on Tickengo, for both drivers and passengers, is pretty straightforward, and requires a minimal amount of set-up. To create a driver account, list your car, your drivers license information, and your insurance information. Then after a quick two-step verification, you are ready to accept ride requests. As an added layer of transparency, drivers have the option to upload pictures and to connect their Facebook and Tickengo accounts – purely for the purpose of proving that you do, in-fact, exist. The only information that is shared from Facebook is the number of friends. 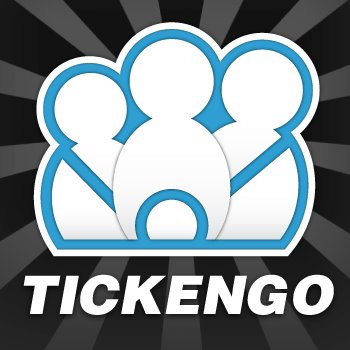 Tickengo has positioned itself as a pure ride-sharing platform. While similar platforms have facilitated, at times unintentionally, the creation of professional driving fleets, Tickengo remains committed to, simply, filling empty seats.